The correct execution of process activities is usually responsibility of the employees (i.e., human resources) of an organisation. In the last years, notable support has been developed to make resource management in business processes more efficient and customisable. Recently, a new way of working has emerged and caught significant attention in the market: crowdsourcing. Crowdsourcing consists of outsourcing activities in the form of an open call to an undefined network of people, i.e., the crowd. While in traditional resource management in business processes resources are known and task assignment is usually controlled, the workers in crowdsourcing platforms are unknown and are allowed to select the tasks they want to perform. These and other differences between resource management in business processes and in crowdsourcing platforms have not been explicitly investigated so far. 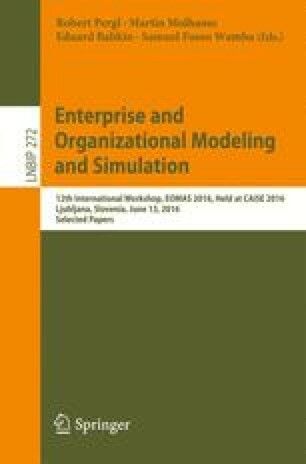 Taking as reference the existing mature work on resource management in business processes, this paper presents the results of a study on the existing support for resource management in crowdsourcing platforms. This work is funded by the Austrian Research Promotion Agency (FFG) under grant 845638 (SHAPE). We would like to thank David Kren and Prof. Jan Mendling for their cooperation in the realisation of this work.